cURL is a commonly used command-line tool for making HTTP requests. In this tutorial, we'll have a look at HTTPie, a command-line tool for making HTTP requests in a human-friendly way. HTTPie uses commands with simple and natural syntax and displays the output in a presentable manner. In order to get started with HTTPie on an Ubuntu machine, you need to install the package using apt-get. The above query would return the HTML output of the GET request on the URL https://tutsplus.com. As seen from the above query, the only information HTTPie needs to perform a request is the URL. Before diving deep into HTTPie commands, we'll have a look at how to perform the basic requests using HTTPie. We'll be making use of json-server to have a dummy server up and running for making requests. 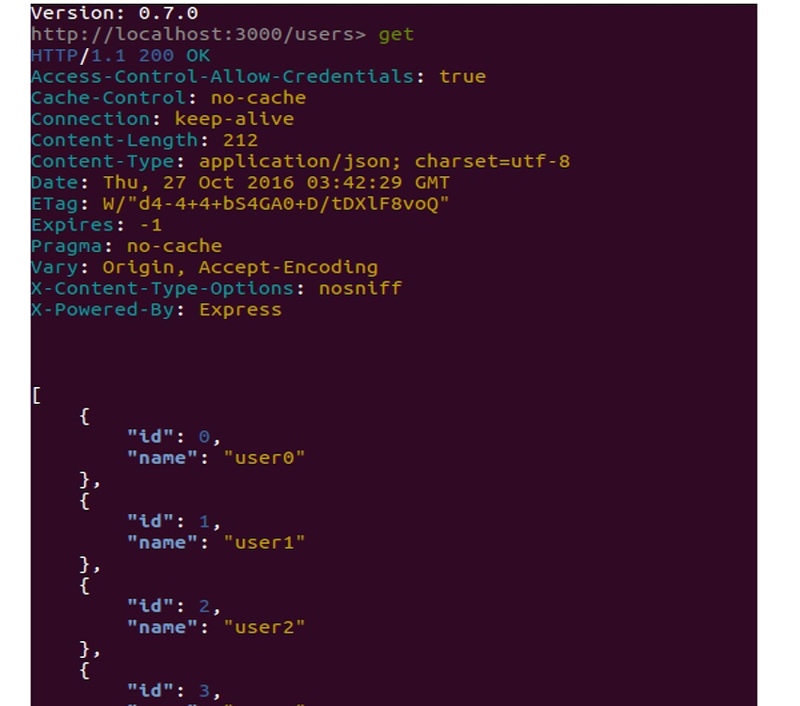 To get started with json-server, install the server using npm. Create a file called index.js which will create some random data for our dummy server. Run the json server using the index.js file. Now the server should be up and running at http://localhost:3000/. Try doing a GET request using HTTPie, and you should see the newly posted data in the response. When the above command is executed, the Content-Type is automatically set to application/x-www-form-urlencoded; charset=utf-8, hence you don't need to set it explicitly. As you may have noticed in our earlier example, by default HTTPie does not handle HTTP redirects. When we tried to do a GET request on www.tutsplus.com, it showed a message stating the URL had been moved. If you want HTTPie to handle redirects, you need to add an option called follow to the request command. The above HTTPie query would handle HTTP redirects, if any. HTTPie provides a feature to download files from a server, similar to the wget command. In order to download the file, you need to specify a download option along with the URL. Downloading 3.76 MB to "python_tutorial.pdf-1"
Accessing a web service URL would require some or other kind of authentication. HTTPie supports most of the commonly used authentication mechanisms. By default, HTTPie supports basic authentication, so you only need to pass in the username and password to the request with the -a option. To use a digest authentication, you'll need to pass in the authentication mechanism name using the -A option. When we make a request to a URL, all the data along with the header information is displayed in the terminal. HTTPie provides an option to customize the output response. You can print the individual header and body information by specifying the --header and --body option along with the request. Now, if you try the HTTP request along with the --body option, it should only print the body portion. Type in a few letters of HTTP and the auto complete should show up. Type in httpie and it should display the URL we are querying. All the HTTPie request commands should be working in the http-prompt. Try typing in GET and it should pop up in the auto complete. On entering the GET command, the following response should be displayed. In this tutorial, we saw how to get started with HTTPie, a more human-friendly cURL alternative. We saw how to do the basic request operations like GET and POST using HTTPie and some other features. For in-depth information on using HTTPie, do have a look at the official documentation. Also check out the official documentation for http-prompt. Do let us know your thoughts in the comments below.